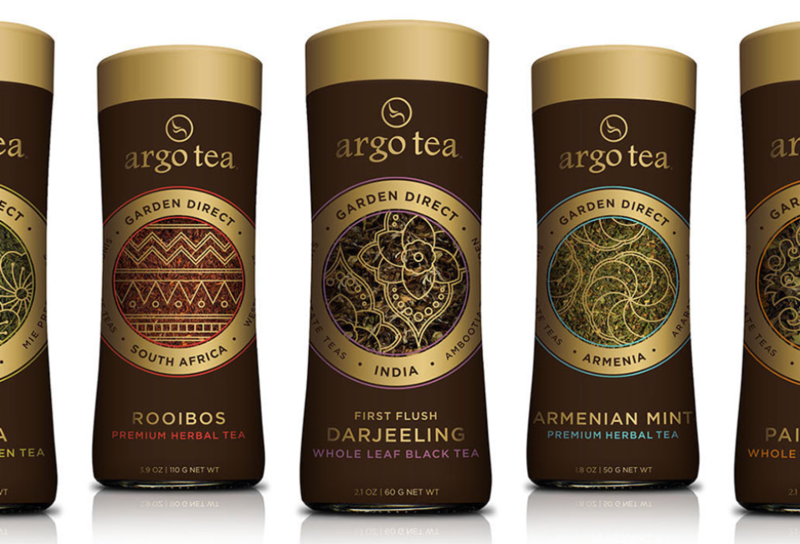 Chicago, Ill. – (Dec. 14, 2016) – Argo Tea®, the premium tea brand known for its all-natural tea-based signature drinks and loose-leaf teas, today introduced its most premium offering: the Garden Direct Collection. The new line features 24 single estate teas that are sourced from the world’s premier tea growing regions. Each reflects the character and subtleties of the unique terroir and climate from the garden in which it was grown. This innovative collection was made possible because of the solid, long-standing relationships among Argo Tea and the various tea growers in each region. The collection’s rich gold and brown labels reflect the premium quality of each tea within the Collection. Each bottle features a design inspired by regional art, flowers and iconic patterns of the specific country where the tea was grown. The suggested retail price for each loose-leaf bottle varies from $10.95 to $39.95.